From 1 December 2012 a business that does not have a business or fixed establishment in the UK, and which trades in the UK will be required to register for VAT as soon as it makes its first taxable supply in the UK, or when it expects to make taxable supplies here within the next 30 days, whatever happens first. Each such business will be required to register as a non-established taxable person (NETP). A paper form must be completed as there is no online version. Businesses who sell from their overseas bases, for example mail order companies. 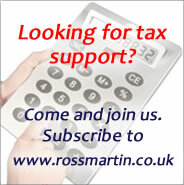 They will continue to benefit fom the £70,000 distance selling threshold before having to register for VAT. Some B2B supplies of services require the UK customer to be VAT registered for the reverse charge to apply. See Reverse charge & place of supply. Where the reverse charge applies, the NETP's supply is outside the scope of VAT. The UK customer is treated as making the supply to itself for VAT purposes. Busineses who make only zero-rated supplies in the UK are not required to register. See Place of supply: goods and Place of supply: services for when a business will be treated as making a UK supply. Jean has a catering business in France and he travels over to the French markets in Kent each month where he sells hot tartiflette and croque monsieur to take-away. As his supplies are standard rated he will be required to register for VAT for his next visit to the UK and charge it on his catering supplies in the UK. Foreign landlords will have to register for VAT unless they are letting via an agent in the UK, see Furnished Holiday Letting (FHL). There is no requirement to register for VAT for property which does not qualify for FHL status.